Vinyl or Wood Windows: Which One to Choose? Home Sponsored Vinyl or Wood Windows: Which One to Choose? This article will give you an insight into the pros and cons of wood versus vinyl windows and help you decide which one to choose for your home. Are you thinking of replacing your old windows to improve your home’s appearance and energy efficiency and you cannot decide between wood windows or vinyl windows? Don’t you know what to choose? Then this article will give you an insight into the pros and cons of wood versus vinyl replacement windows and help you decide which one to choose for your home. Vinyl windows are long lasting, have superior strong and are energy efficient and in spite of that, they are easy relatively easy to manufacture. This makes their prices affordable and yet competitive. They have insulating properties which makes it easy for them to keep your heat from escaping during the cold winter days but protects your home from the sweltering heat during the summer. 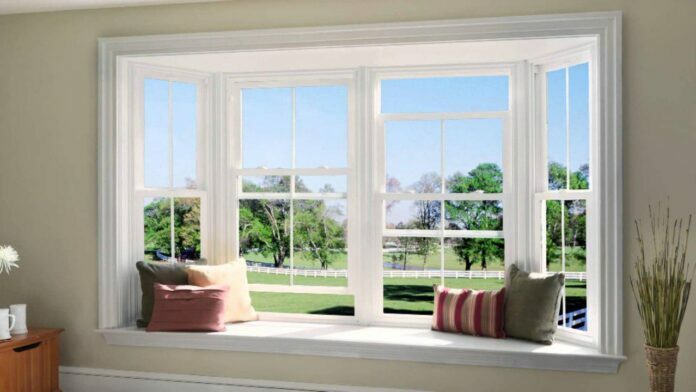 Vinyl windows are low maintenance windows. They do not require painting and repainting. A little soapy water is enough to keep the frames clean and neat all year round. Another reason why you may want to choose vinyl windows is for functionality. Vinyl windows are easy to clean even from the 10th floor of a storey-building as you can simply swing them in to clean. The hassle of finding a long ladder, getting it in place, climbing it to the 5th floor with a bucket of water and a rag in hand is all over. You may also want to have vinyl replacement windows because of how durable they are. Vinyl windows are strong enough to brave the weather. Whether in snow, rain or sunshine, vinyl windows will not chip, crack or peel. Do not worry if you do not have a fortune to spend on your windows. Vinyl windows are an inexpensive and yet, do not compromise on quality. With all of these great qualities and features, vinyl windows are also affordable. This explains why they are a popular choice among home owners. If you are the type of person who loves to paint and repaint your windows, vinyl windows may not be for you. Wood windows will best suit your personal preferences. Wood windows from sustainable sources are environmentally friendly, good looking and thermally efficient. Wood by its very nature is a natural barrier to cold. With double or triple glazing, your windows can keep you warm during extremely cold winters. In terms of maintenance, wood windows require greater upkeep than vinyl windows. This is because wood windows need to be protected from damages such as damp penetration, water retention and other elements and it also needs to be repainted or re-stained every few years to maintain its shine and glow and keep them looking attractive. A key factor to consider before choosing wood windows is the pricing. Wood windows are generally slightly more expensive than other materials. However, they do offer a good value and are therefore worth considering. Wooden frames look stunning on any property; this makes it an ideal choice for home owners looking for windows that can give a certain classic touch to their property. It’s up to you now to make a choice. Will you choose wood or vinyl windows?